Frankly, this whole thing is getting a bit absurd. We knew drama would likely unfold surrounding the New England Patriots if they ended up hoisting the Lombardi Trophy following Super Bowl LI against the Atlanta Falcons this past Sunday. Following the Pats’ historical 25-point comeback, talk about their amazing on-field accomplishment has been replaced by politics. Which players are going to attend when the team visits the White House? Which players are going to sit this one out? It’s a question that’s been lingering around the sports world since President Trump was inaugurated back in January. The divisive nature of his presidency potentially ending the tradition of championship squads meeting with the Commander-in-Chief. For the Patriots, this question has been brought to the forefront due to the fact that owner Robert Kraft, head coach Bill Belichick and quarterback Tom Brady all have personal relationships with the president. It was then magnified when multiple players, tight end Martellus Bennett included, indicated they would skip the visit to the White House. 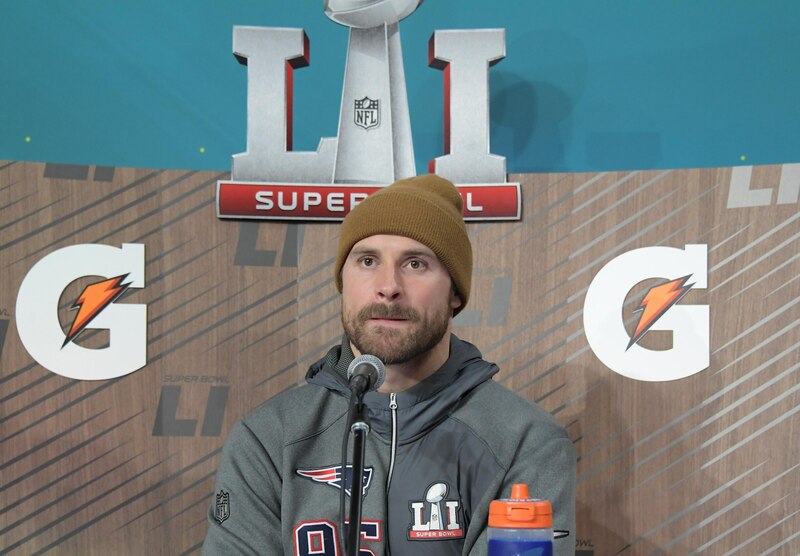 As all this has apparently captured the attention of Patriots nation, an open letter penned by Chuck Modiano of the NY Daily News indicated defensive end Chris Long and the rest of his teammates in New England should fall in line with those skipping the White House visit. “You are receiving this open letter with the hope that you will publicly refuse to visit Donald Trump’s White House and show solidarity with your teammates Martellus Bennett, Devin McCourty and Dont’a Hightower — all of whom will sit the visit out,” the column read. Um. What Chuck seems to not take into account here is that Long is free to do whatever he wants. He can go ahead and visit the White House should he feel an obligation to represent the Patriots. He can avoid the White House altogether, much like Brady himself did back in 2015. That’s the great thing about this country. No column. No amount of peer pressure. Absolutely nothing outside of a person’s own self-determination can decide what he/she does. For Long’s part, he pretty much pushed back against this column in the best possible way. Yes, Long “announced” that he will likely be the fourth member of the Patriots to avoid meeting President Trump. That’s not the big story here. Long himself has been an outspoken advocate of the right for fellow NFL players to protest and take a stand on the issues of the day. That came to the forefront during the entire Colin Kaepernick-led national anthem protest this past season. Instead, it’s that a columnist would go as far to pretty much tell someone else what to do. Is that a signal those in opposition of this administration want to send? We’re surely okay with freedom of speech and the right to self-determination as long as it fits into what we believe to be right. Long did a tremendous job pushing back against that while maintaining his own individuality here. Let’s hope other players follow suit at a time when those in the professional sports world are being asked to talk about stuff outside of their own profession.